On the way to work this afternoon, I stopped at a local fast food joint for lunch/dinner. Like every other American, eating healthier is probably going to be one of my New Year's resolutions. 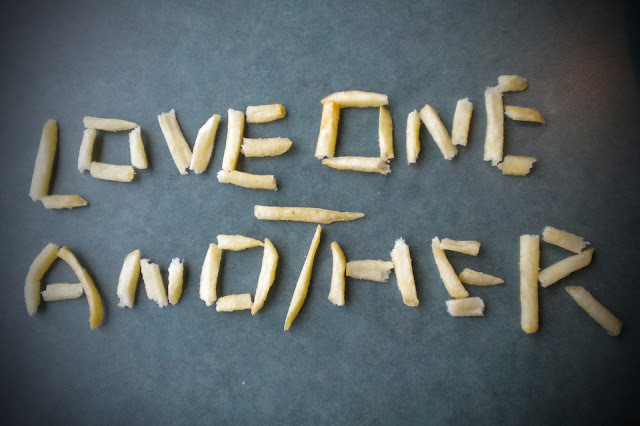 Until then, yes I would like fries with that... so I can make art with them. Day 366: I Made It!! !